We are pleased to share with you our January issue of AWARD Alert. We share with you an article written by 2009 AWARD Fellow, Petra Abdulsalam-Saghir, from the University of Agriculture, Abeokuta in Ogun State, Nigeria. The later part of 2009 witnessed pragmatic opportunities and turning around for fast tracking career building, mentoring and networking for African women scientists. This came about because of the vision and the foresight of a lady, Vicki Wilde, Director, Gender and Diversity Program, (CGIAR) and hosted by World Agro-Forestry Centre (ICRAF). Ms. Wilde and her team of experts took it upon themselves to ensure gender revolution within Africa by developing a programme called AWARD-Africa Women in Agricultural Development and Research. As rightly put by Kofi Annan, Chairman of the Alliance for a Green Revolution in Africa, and former Secretary-General of the United Nations, “a green revolution in Africa will happen only if there is also a gender revolution”. These opportunities are not limited to the African shores alone but also spread to the developed countries where salient talents of African women are exhibited and tapped in order to bring rapid changes to the African continent in the areas of food security and all other areas of science and technology as it affect smallholder farmers. These opportunities are necessary, now that in Africa, especially where women have multiple roles to play in agricultural sector. Women feed sub-Saharan Africa because 80 per cent of farmers are women and they produce 60-80 per cent of the food crops the poor depend on. Yet, African women receive just five per cent of Agricultural extension services and training and less than 10 per cent of rural credit facilities. Also, in terms of Sub-Saharan Africa’s Research and Development (R&D) pool, less than 25 per cent of Agricultural researchers are women, mostly having bachelor’s degrees while a few reach positions of leadership. This diminishes the likelihood that the specific needs of women farmers, who constitute the vast majority of Africa’s farmers will be met. That is why Ms. Wilde’s programme focuses its effort on women because hunger, poverty and environmental degradation cannot be addressed successfully without them. She also feels that highly qualified women, particularly, from countries where women provide much of the farm labour should be a large part of the equation. It was because of this that the African Women in Agricultural Research and Development (AWARD) was formed. The Award offers 60 fellowships annually which comprise two years of fellowships; designed to boost the female talent pool for African Agriculture. Fellows are chosen from a large pool of applicants from ten Sub-Saharan African countries, namely; Ethiopia, Ghana, Kenya, Malawi, Mozambique, Nigeria, Rwanda, Tanzania, Uganda and Zambia. Sustainability of AWARD is a must for all. There is a need to strategize on effective ownership, and scaling out of best practices within AWARD. There is a need to monitor enhance capacities of the women participants. There is also a need to domesticate lessons learnt from workshops on mentoring, facilitation skills courses, and research methodologies and plan for its replication in other places outside AWARD, most especially in Africa and in Nigeria in particular. That is where the sustainable enigma of hope for African women lies! AWARD Fellows working with the Kenya Agricultural Research Institute (KARI) in Njoro, are featured on the Borlaug Global Rust Initiative website. Kenya Agricultural Research Institute (KARI) scientists are honored by African Women in Agricultural Research and Development (AWARD) Program and accepted into 2-year fellowship program. Women are known to be innovators when it comes to responding to climate change. The question is how to ensure that the role of women and gender equality are reflected in climate change agreements. Women in poor countries will be the most affected by climate change effects, according to the 2009 State of the World Population report, released last month by the United Nations Population Fund. This is because women comprise the majority of the world’s farmers, have access to fewer income- earning opportunities, and have limited or no access to technology. To understand how far women are involved in decision making on climate change, TerraViva spoke with Lorena Aguilar Revelo, global senior gender advisor to the International Union for Conservation of Nature (IUCN) which is a part of the Global Gender and Climate Alliance launched at the United Nations climate change conference in Bali in December 2007. IPS: Women are said to be the major agents of change, but their role is still not recognised, according to the gender and climate alliance. LORENA AGUILAR REVELO: Women have been playing a major role in the management of natural resources for centuries, dealing with the agricultural sector. In countries of Africa, in Congo for example, they produce 73 percent of the food and in Africa as a whole 50 percent of the food that is being consumed on the continent. Unfortunately, when you look at the other data you see that women only own one percent of the land worldwide; or when you look at the money from the new financing mechanism – or the previous financing mechanism – associated with climate change, you don’t find women as major beneficiaries. IPS: Why is that so? LAR: The reason is that the whole climate change convention is gender blind. Of the three major conventions related to climate change – desertification, biodiversity and climate change – the U.N. Framework Convention on Climate Change is the only agreement with no mention of gender. There are innumerable global mandates calling for integrating a gender perspective into environmental and poverty reduction efforts that also apply to climate change. Nevertheless, there is no gender plan of action and even no mention of gender or women’s issues. And if you analyse all the numbers that have been developed by the least developed countries, only four of them mention gender issues – in a very simplistic way. Bangladesh is the only country that has made an effort to move along these lines. IPS: What steps are being taken to include gender perspectives into the mitigation and adaptation efforts? LAR: Three years ago we established this alliance, and we are making sure in the new texts that any regime that comes after Copenhagen – and now probably Mexico – must have gender in it. So far, the parties have submitted 39 references to gender and climate change, after a tremendous amount of advocacy work. But we need to make sure that there are specific resources for women; whatever project is going to come out it must consider this, otherwise women are feeling the effects, they have a tremendous amount of knowledge on mitigation and adaptation but they are not part of anybody’s agenda. IPS: Could you mention some examples? LAR: Right now we are discussing a new regime that is called REDD (reducing emissions from deforestation and degradation). At the national level, for those countries that have forests it is very important. So far the discussions over REDD again have been gender blind. Women are using the forests in a different way than men. In some countries, India for example, the role of women in protecting the forests to avoid deforestation has been major; and the same is true for Brazil or Guatemala. When it comes to forests and mitigation – one of the major areas being discussed – it is fundamental that in those countries that have forests, where women are users of the forests, they are involved in defining how the forests are going to be used, but also in receiving the benefits that will derive from the REDD regime. IPS: How can the participation of women in decision-making on climate change be increased? LAR: It is fundamental that in the discussion on REDD, women are invited as stakeholders, that they’re trained to understand what REDD is about, because no one understands that very well. When it comes to adaptation it’s the same thing. We are talking about reducing the impact of disasters for example; it means making sure that women are fully participating in disaster risk reduction processes. IPS: Do you expect that delegates to Copenhagen will give due attention to your concerns? LAR: We have been updating and training COP delegates for two years now. Delegates from various countries have been extremely open to including the topic of gender, like those from EU, Liberia, Ghana, Nicaragua, Costa Rica, and the U.S. In the high-level declaration that will probably come out of Copenhagen, we know there is going to be one mention of gender. If we get that at the end of Copenhagen it is a massive win. 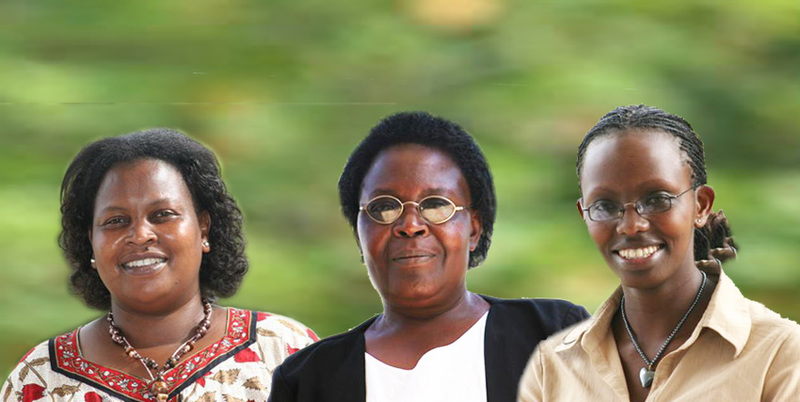 AWARD’s goal is to fast-track the careers of African women scientists in agricultural research and development. Join us in congratulating AWARD Fellows who have recently advanced in their careers. Two AWARD Fellows and an AWARD Mentor working with the Kenya Agricultural Research Institute (KARI) have been promoted. Jesca Mbaka received a promotion to senior research officer. She has served as a research scientist for 19 years. “Thanks to AWARD for unlocking my potential,” said Jesca, sharing the good news from Stellenbosch University, South Africa where she is currently on an AWARD research attachment. “You raise the flag of horticulture and the industrial crops division so high that the sky is not the limit, but the limit is the sky,” said her mentor, Dr. Lusike Wasilwa, in a congratulatory message. Dr. Mabel Jendeka Mahasi was promoted to principal research scientist from senior plant breeder. “I appreciate the support and training from AWARD. I applied all the skills learned during the interview. I am thrilled to have made it,” said Mabel. Mabel is also mentored by Dr. Wasilwa. “We are now a force to reckon with at KARI. I am indeed extremely proud of what the gender empowerment provided by AWARD has done in propelling us to the top, “said Dr. Wasilwa. Dr. Margaret Mulaa, an AWARD mentor also working at KARI, has been promoted to chief research scientist from senior principal research scientist. Margaret began her career as an assistant research scientist and has risen through the ranks. “I thank KARI for recognizing my value and rewarding it. The AWARD team contributed to my achievement by giving me the opportunity to learn new skills and showing interest in my career development,” she said. Professor Waceke Wanjohi was recently promoted to associate professor from senior lecturer at Kenyatta University, Kenya. Waceke is the director of the Centre for Capacity Development in Higher Education at the university. Dr. Sarah Mubiru, an AWARD Fellow and Mentor from Uganda, has been appointed program assistant, Livestock and Fisheries Program at the Association for Strengthening Agricultural Research in Eastern and Central Africa (ASARECA). Previously, Sarah was the team leader of animal nutrition at the National Livestock Resources Research Institute (NaLIRRI), Tororo, Uganda. Sheila Ommeh, an AWARD Fellow from Kenya, recently received the “Promising Young Scientists” award from the International Lions Club in Italy. She delivered her acceptance speech in Italian—her fourth language. With support from AWARD, Sheila is currently on a nine-month research attachment at Parco Tecnologico Padano while pursuing her goal of obtaining a PhD at Tuscia University in Viterbo, Italy. Mentoring is a proven and powerful driver for career development. It also plays an instrumental role in retaining women in science careers. To begin their AWARD journey, the 2009 fellows and mentors attended the mentoring orientation workshops (MOWs) in September and October in Mombasa, Kenya. The workshops were attended by 134 participants, representing ten AWARD countries. They included AWARD Fellows and Mentors, staff and partners. The workshops were facilitated by Phil and Normala Merry from the Philip Merry Consulting Group. AWARD offers two years of mentoring to BSc-level fellows and one year of mentoring for the post-MSc and post-PhD fellows. The first step of the fellowship is pairing each fellow with a mentor — a more senior professional, carefully chosen to match the fellow’s area of expertise and personal goals. Mentors are selected by Dorothy Mukhebi, AWARD mentoring coordinator, in consultation with the fellows. In their second fellowship year, post-MSc and post-PhD fellows will pass on their knowledge by mentoring junior women scientists in their institutions, which also provides an opportunity for personal leadership experience. During the MOW, the fellows were introduced to the basket of AWARD opportunities and resources they can access over the next two years. The role and expectations of fellows and mentors were clarified and they got an introduction to monitoring and evaluation. The MOW also served as a networking launch pad for all the participants. The AWARD male mentors were at home at the workshop. They demonstrated their firm commitment to supporting women scientists. They quickly adopted their new nickname, SNAGs, which stands for Sensitive New Age Guys. Through their interactions during the workshops and follow-up communication, fellows and mentors established working relationships, and initiated a supportive network among themselves and with other partners, including AWARD staff. Dr. Felistus Chipungu, an AWARD Fellow from Malawi, is keen to share forward the information gained from the mentoring workshop. “I appreciate what AWARD is doing; I will not hoard the information gained but will ensure it goes to other people,” says Felistus. AWARD encourages fellows to share what they have learned through the fellowship within the broader community. This can be in the form of a special university seminar, an inspiring talk at a secondary school, a community workshop, workplace, career fair, farmers market or other similar events. This sharing is part of the AWARD contract and encourages the fellows to become visible in their communities. Through role modeling, they also debunk myths and stereotypes about women and agricultural research. The role modeling events have usually focused on high school girls. Fellows feel that this is a critical stage to influence girls to take science subjects to qualify them for agricultural courses at tertiary level. This year, 14 AWARD Fellows organized role modeling events attended by approximately 2,000 participants. Dr. Sheila Okoth recently organized a role modeling event at the University of Nairobi, where she teaches. 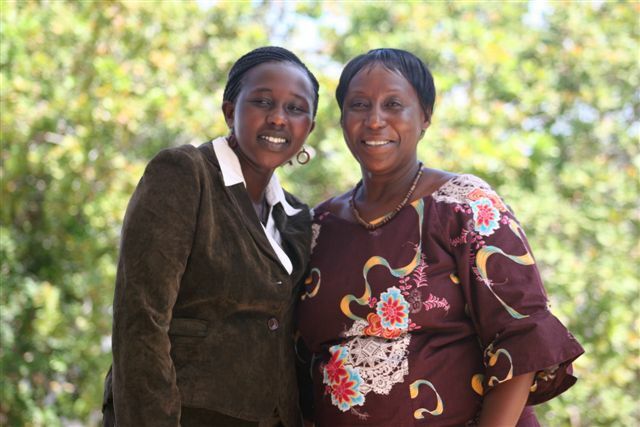 Sheila brought together 21 women from each of Kenya’s eight provinces. The participants at the event learned about mushroom cultivation from the lab to the farm and in the kitchen. The practical session saw them work in the lab, seeing how to select quality spawn for cultivation. They also prepared mushrooms for lunch at the event. Mushrooms have great agricultural potential, as well as nutritional and medicinal value. However, small holder mushroom producers face various challenges. These include lack of quality spawn, diseases and pests, lack of proper skills in production and post-harvest handling. Dr. Elijah Akunda, director of the School of Biological Sciences at the University of Nairobi, was also in attendance. Speaking to the participants, he highlighted the importance of agriculture in ensuring household food security. Dr. Akunda thanked AWARD for its contribution in mentoring women. AWARD Fellows Halima Nenkari and Miriam Otipa also attended the session. Sheila’s mentee, Judith Adhiambo, helped organize the event.